When developing the Classic iNSight2 pregnancy scanner, usability and minimal maintenance were key aspects. That is why the scanner is designed as a single unit without any external moving parts. 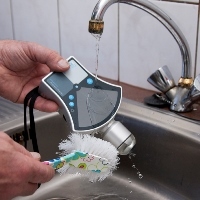 The scanner uses standard penlite batteries and can be cleaned with household cleaners thanks to the waterproof construction. And should your scanner malfunction or be damaged, support is never far away. 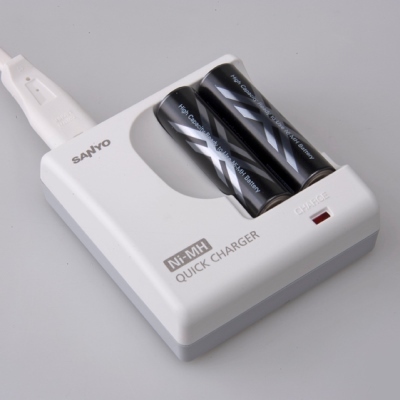 The high performance charger accepts 2 AA penlite batteries and switches itself off once the batteries are fully charged. This charger is especially developed for the new generation NiMh Eneloop batteries supplied with the Classic iNSight2. These batteries, contrary to the regular NiMh batteries, have a much higher internal resistance and hardly self-discharge. Therefore the batteries can stay in the scanner longer and stay charged for use. In the many cases where the scanner is used only once per three weeks or bi-weekly, one does not need to worry about empty batteries and the unit will be ready for use at any given moment. Keeping a second set at hand, you will never be surprised by empty batteries. 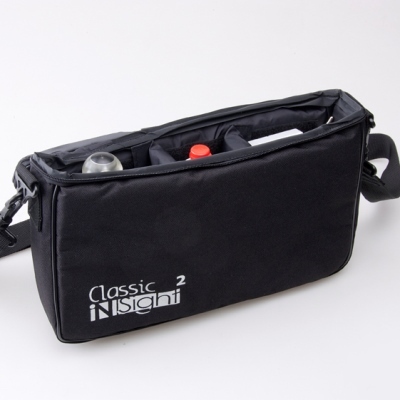 The carrying case provided with the Classic iNSight2 makes storage and carrying it around very easy. All in one bag, the scanner, gel, charger and possible extra batteries and well protected. With the carrying strap it becomes easy to carry around the scanner and everything necessary to different stables or locations. The bag can be washed when cleaning is needed. As you may expect from a 100% European product, support is within a hand’s reach if need be. For service and repairs, simply contact Classic Imaging. If neccessary, we will ask you to send the scanner to our Netherlands-based service center, where it can be examined and repaired by our trained staff. With all parts and know-how at our disposal, we are able to return your scanner within a few working days. Fast and efficient service – allthough you will most likely never need it!